This Christmas Eve episode, we take a look a medieval forebear of the Ghost of Jacob Marley, as well as a role-model from ancient Rome. William of Malmesbury. Chronicle of the Kings of England. Ed. J.A. Giles. Trans. John Sharpe and J.A. Giles. London: George Bell & Sons, 1895. Google Books. Pliny the Younger. Letters. Translated by William Melmoth, revised by F.C.T. Bosanquet, The Harvard Classics, vol. 9, part 4, .F. Collier & Son, 1909–14. Bartleby, http://www.bartleby.com/9/4/1083.html. Dickens, Charles. A Christmas Carol, in Prose, Being a Ghost Story of Christmas. 1843. Project Gutenberg, www.gutenberg.org/files/46/46-h/46-h.htm. Belsey, Catherine. “Shakespeare’s Sad Tale for Winter: Hamlet and the Tradition of Fireside Ghost Stories.” Shakespeare Quarterly, vol. 61, no. 1, Spring 2010, pp. 1-27. JSTOR, www.jstor.org/stable/40731136. Bennett, Gillian. “‘Alas, Poor Ghost!’ Case Studies in the History of Ghosts and Visitations.” Chapter 5. Alas Poor Ghost, UP of of Colorado and Utah State UP, 1999, pp. 139-172. JSTOR, www.jstor.org/stable/j.ctt46nwwn.8. Rife, J. Merle. “Marley’s Ghost in Athens.” The Classical Journal, vol. 34, no. 1, Oct. 1938, pp. 42-43. JSTOR, www.jstor.org/stable/3291010. 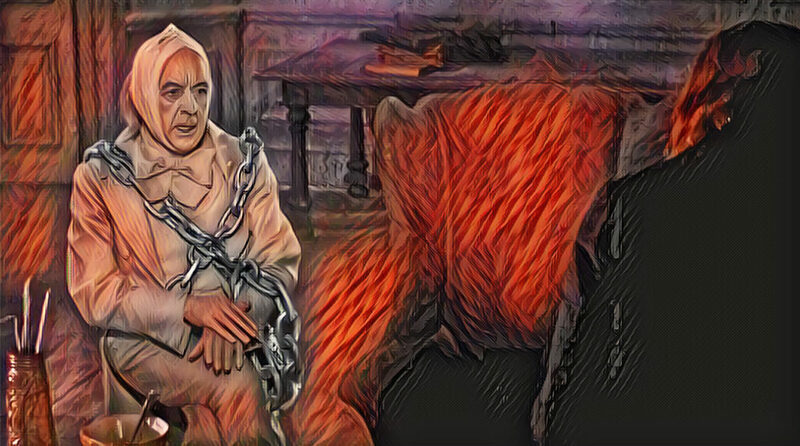 Image: Alec Guinness as Jacob Marley in Scrooge (1970), as stylized by Google Deep Dream.